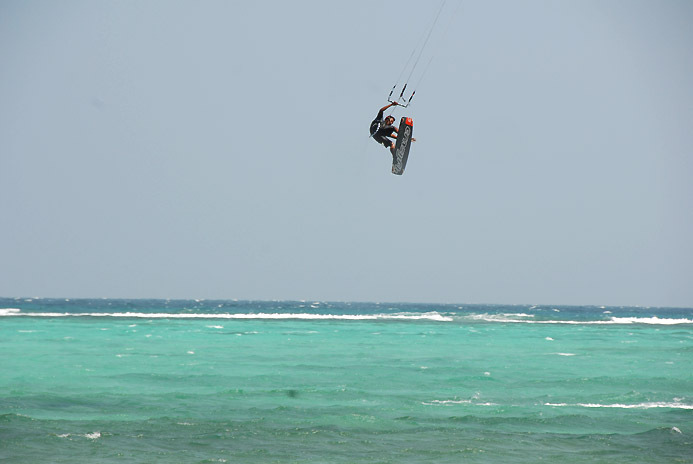 This is a story of a kiteboarder rescue, that is a kiteboarder saving the life of another. As has been the case in other instances in the past, the kiteboarder was one of the few with the mobility to be able to aid the swimmer in heavy seas. 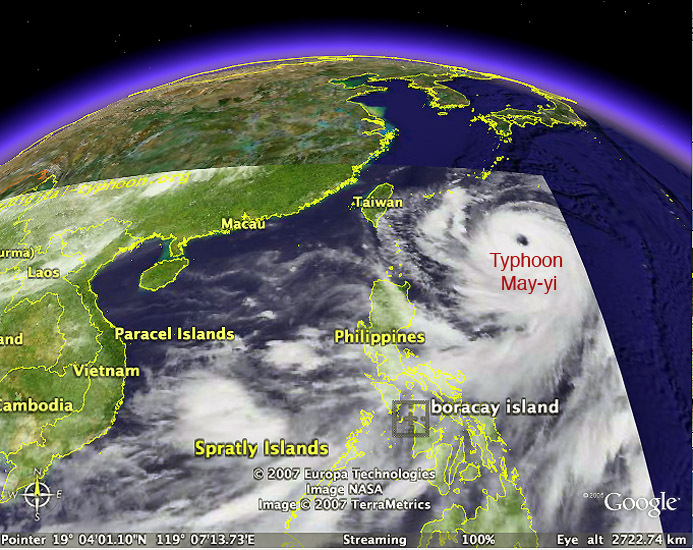 Typhoon May Yi also known as Man-Yi was passing through the eastern Philippines bringing strong winds and heavy seas. The rescue occurred on White Beach. 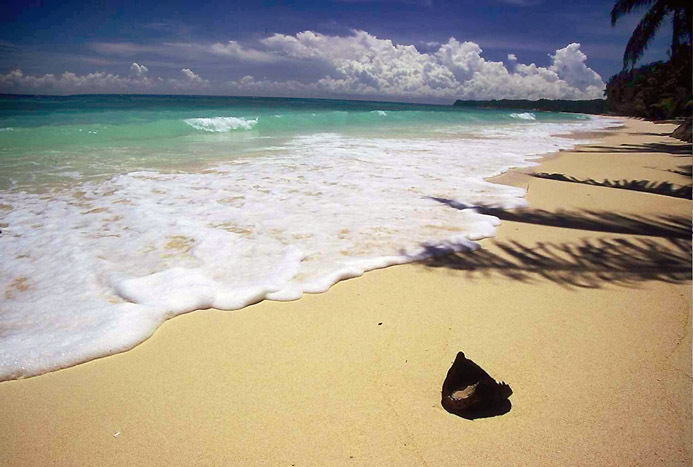 During the typhoon season the prevailing winds shift making conditions offshore at the Bulabog Beach, the normal riding on the other side of Boracay Island. So the guys with Isla Kiteboarding School temporarily move to the Victory Dive Shop on White Beach. 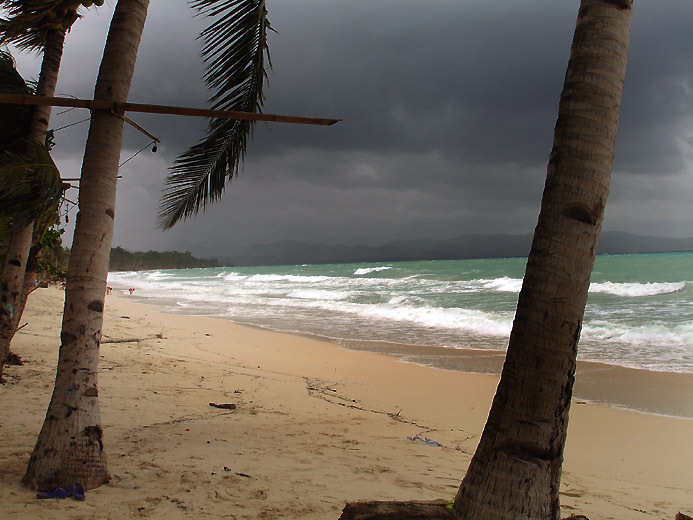 Tropical cyclones are fairly common in the Philippines during typhoon season between May and November. Winds were 25 kts. gusting up to 40 kts. with 2 to 3 m waves. 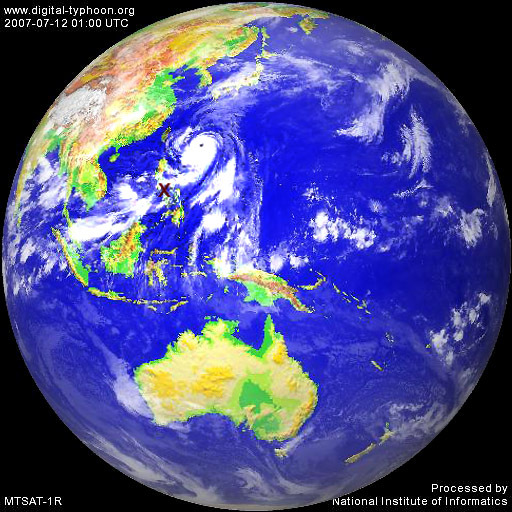 The typhoon was situated well to the east and hadn't yet achieved full strength. More violent squall winds were apparently absent in the area. The guys with Isla Kiteboarding School had been riding through the day. They were taking a break in the Victory Diver's shop when a local ran in screaming "my friend is drowning!" Everyone sprinted for the door, divers and kiters alike. The man could be seen about 50 to 80 m offshore, beyond the shore break. He may have been carried there by a rip current. The divers hit the surf and try very hard to make it to the man but were unsuccessful given the heavy seas. 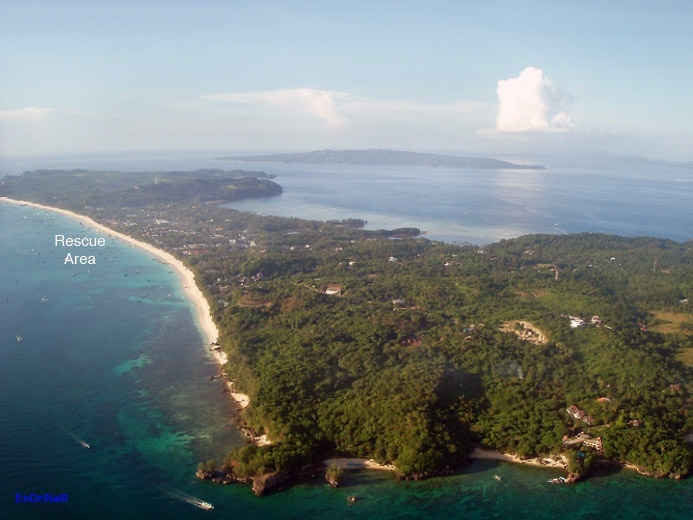 One of the Isla beachboys, Narie Milaflores, was already offshore on a 7m F-one Impact kite. The guys got his attention and had him go out and help the swimmer. 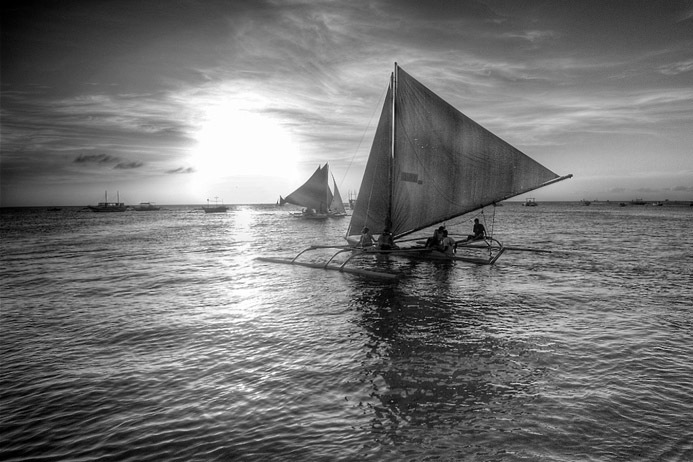 Narie ably rode out and came up to the guy and asked him to hold on to Narie so that he could tow him into shore. Instead the victim grabbed Narie's control bar and hanked a violent kite loop catapulting Narie almost into the beach. This shook Narie up pretty well as he landed his kite for a breather. A 7 m kite can be pretty fast, going through an involuntary kite loop in 25 to 40 kts. in heavy seas is no picnic. Toto, an instructor for Isla Kiteboarding and F one team rider asked for Naire's kite and board to try to make it out to the guy and bring him in. The wind was straight onshore and with the heavy waves getting out was tricky to say the least. Toto had to run upwind, jump over the shorebreak taking about 3 minutes and then run back to the victim. Toto stopped about 2 m away and clearly told the guy to grab on to his harness and NOT the control bar. Toto moved in where upon the man climbed up him like a tree grabbing on to Toto's neck. This is a common behavior for people in the process of drowning so be warned! Toto told the guy to shift his grip to his harness which very fortunately, he did. They guys on the beach brought the oxygen tank down from the dive shop and the coast guard arrived by car, too heavy to go out by boat, sigh. So, everyone waited while Toto worked shoreward with his charge. He wasn't getting very far with his board so he ditched it and did some majorly powered up figure 8's to drag the two of them through the surf and on to the beach. The "almost" drowning victim had a rest, said thanks and vanished. Toto and the Isla guys went back into the surf for some more kiting about ten minutes later and ripped it up for the balance of the day. Toto (Dilbert) has been kiteboarding since 2004 and is 23 years old. 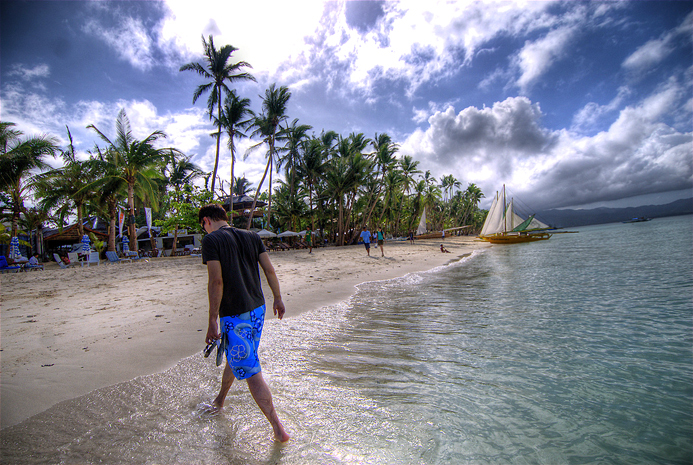 He started in 2005 as an Isla kiting beach boy and subsequently became an instructor for the school. 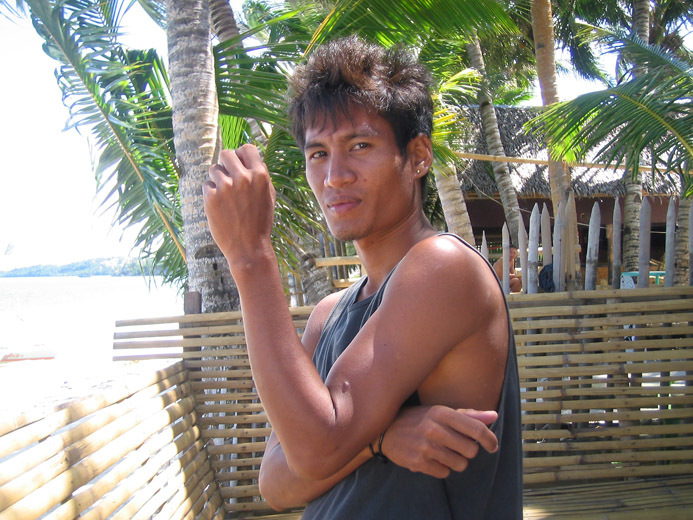 He became an F One team rider in 2006 and was 3th in the Boracay Intenational Funboard Cup 2006 and 4th in 2007. Toto has been throwing f-16s, handle passes and very good in the waves. 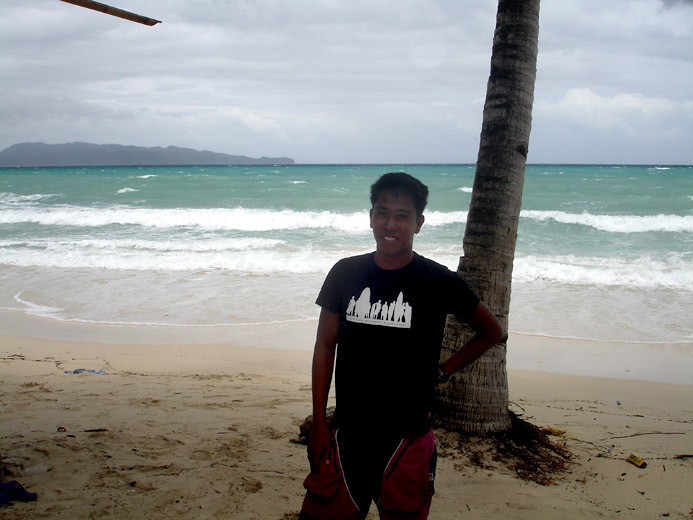 Uli Stecker, owner of Isla Kiteboarding School on Boracay Island in the Philippines and the man who passed along this information and several of the photos to me. Last edited by RickI; 08-21-2007 at 08:31 AM.